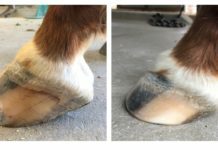 My 13 year old gelding, The Boogie Man3, has always had problem hooves. 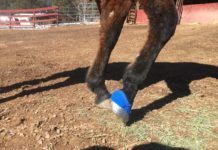 He was a starved rescue, but the home he was adopted into did not know how to properly feed a severely malnourished horse. He was put in a stall with sweet feed, and, of course, he foundered. Long story short, I traded a 15.2 hand well trained gelding and got the 14.2 hand foundered barely halter-broken stallion. 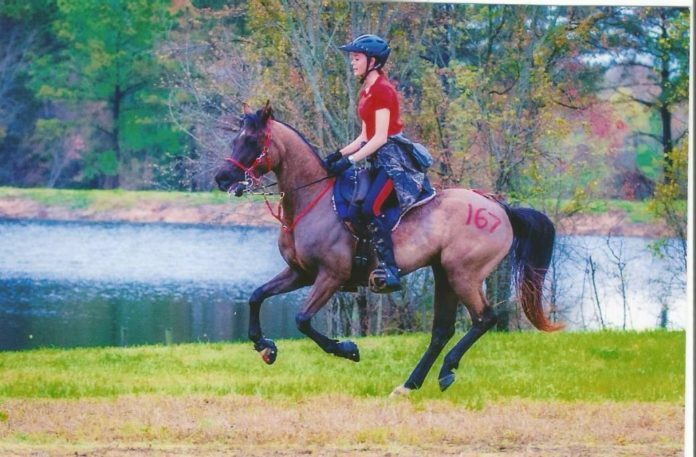 He went on to be a good horse for me: three one-day 100s, a few first places, and over 1,000 competition miles. However, his feet just kept holding him back. He could complete, but the more miles he accumulated, the more he lost his "edge" and even became lazy. 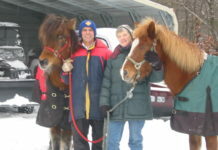 I purchased a set of Easyboot Gloves for him and in less than three weeks, we entered a 50-mile event using the Gloves. He was amazing all day, boots never rubbed or slowed him down one bit. I was a bit nervous about using a new product in a competition, after only trying the boots 34 miles at home. He was back to himself, no more lazy horse, no stress lines growing down his hooves after doing a 50 (he would get those lines after every ride), and my horse was just happy all day, something he hadn't been in years. I am planning to do some 100s with him this year because he will be up to it now that he is happy and moving so well.